Emerald Freight > News > Emerald Freight > Emerald Freight Assist Zodiac Aerospace. 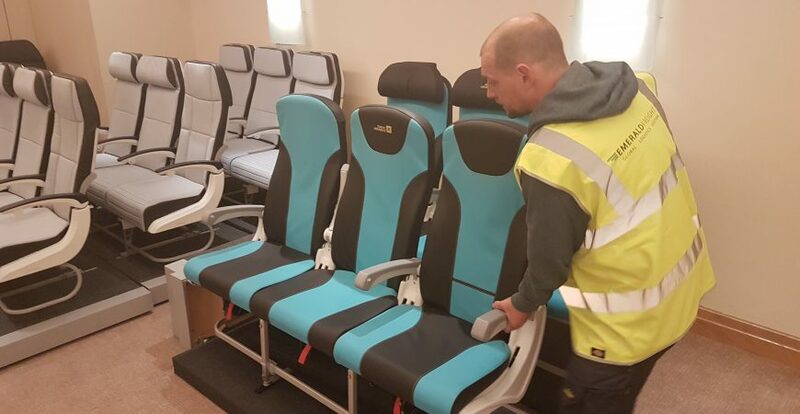 For the second year running we were approached to handle some ‘Show Seats’ on behalf of Zodiac Aerospace, Emerald Freight managed the same project in 2016 and did such an excellent job their CEO Glen Warnock was contacted directly by Zodiac this year and asked to assist early on with an inspection of the Dublin hotel where the expo was to be held. The services provided were site inspection, customs clearance, storage, unpacking and white glove delivery, the Emerald Freight Project Manager was Charlie Scully and he led a team of six. 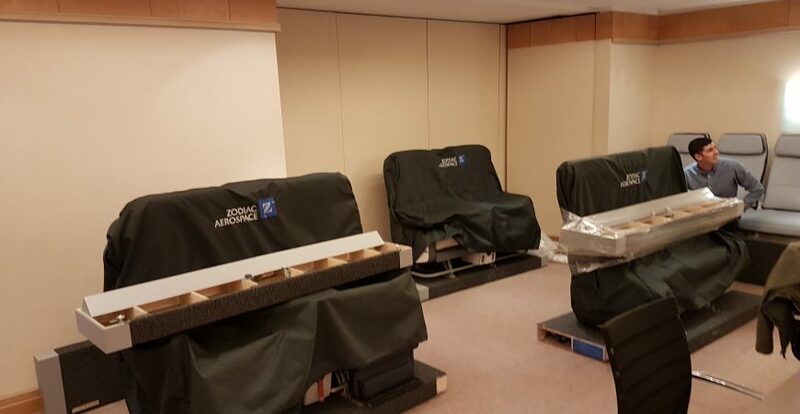 Once the show was finished the team were required to re-collect, re-pack and re-export the seats back to the USA. Below Charlie is positioning the Show Seats in preparation for the demonstration. Aerospace is a big part of the day to day activity within the Emerald office, where the team handle inbound and outbound shipments, this is due to the huge number of Aerospace companies based on our Island.